I originally expected this to be a black & white pie because of the name, Chess Pie, but it is not. This is a creamy vanilla pudding pie baked and I bet decadent. Note that there is no cooking time, so I’d suggest starting at 30 minutes, although I don’t know exactly what “done” looks like with this. 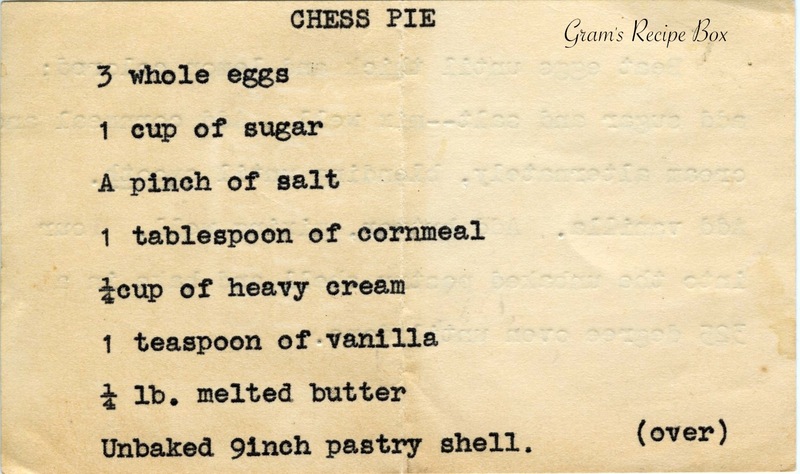 UPDATE: Some friend have told me that Chess Pie is like a vanilla custard pie. It appears to be one of those things where you want to find the “perfect recipe” for a delicious dessert. 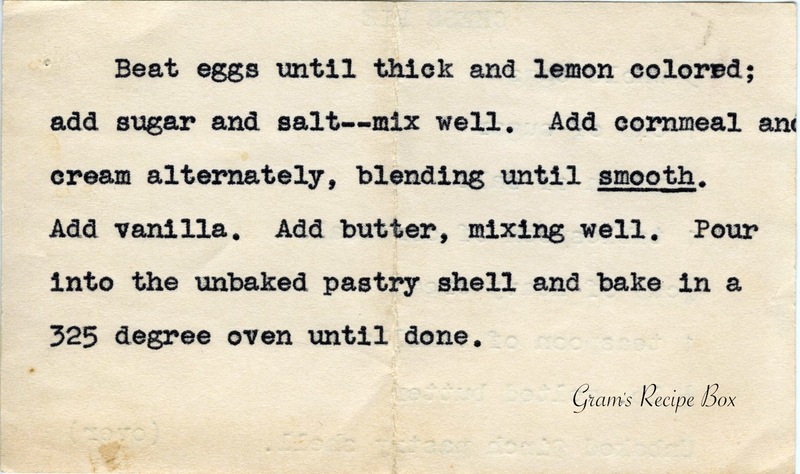 Beat eggs until thick and lemon colored; add sugar and salt – mix well. Add cornmeal and cream alternately, blending until smooth. Add vanilla. Add butter, mixing well. Pour into the unbaked pastry shell and bake in a 325 degree oven until done.